As explained in the introduction the LC Practice Manual is similar to other manuals in divisions of the high court and aims to promote access to justice and consistency in practice and procedure and to set guidelines on the standards of conduct expected of practitioners. It is not a substitute for the rules of the labour court. It explains how the rules are applied in the court. The manual also informs representatives and litigants how things are done and what is expected of them. Flexibility in their application will be required to promote their purpose. 1.1 This practice manual is modelled on similar manuals that apply in various Divisions of the High Court. The manual aims to promote access to justice by all those whom the Labour Court serves. It is also intended to promote consistency in practice and procedure, and to set guidelines on the standards of conduct expected of those who practise in the Labour Court. 1.2 The practice manual is not a substitute for the Rules of the Labour Court. It is concerned mainly with how the Rules of Court are applied in the daily functioning of the court. The manual tells representatives and litigants how things are done in this court, and what is expected of them. By their nature, the provisions of the manual call for flexibility in their application where this is required to promote their purpose. 1.3 The manual addresses the need to maintain respect for the court as an institution, and to promote efficiency in the adjudication of disputes. It is hoped that the practice manual will also improve the quality of the court’s service to the public and promote the statutory imperative of expeditious dispute resolution. 2.1 This manual sets out the practice to be observed in the Labour Court of South Africa. 2.2 The manual seeks to obtain uniformity amongst judges in respect of practice rulings. It must be emphasised that no judge is bound by practice directives; this manual is not intended to limit judicial discretion. It should be noted though that the judges of the Labour Court strive for uniformity in the functioning of the courts and their practice-related rulings. The practice manual thus sets out what can be anticipated, in the normal course of events, on any issue covered by it. 2.3 This manual supersedes all previous practice directives issued by the Judge President. 2.4 Reference in this manual to the Rules, is a reference to the Rules of Labour Court in Government Notice 1665 14 October 1996, as amended. 2.5 The practice manual will come into force on a date to be determined by the Judge President. “Day” means a day other than a Saturday, Sunday or public holiday, and when any particular number of days is prescribed for the doing of any act, the number of days must be calculated by excluding the first day and including the last day. “Representative” means the person appearing in court on behalf of a party, and includes a legal practitioner as defined in the Labour Relations Act, 66 of 1995, and any other person who has the right to appear in the Labour Court by virtue of the provisions of s 161 of the Act. 5.1 The court calendar year is divided into four court terms. The duration of each court term will be determined, in advance, by the Judge President. 5.2 Only urgent applications will be heard during recess, except that by directive of the Judge President or the Deputy Judge President, other matters may be allocated during recess to acting judges appointed for the purpose. 6.1 Representatives who appear before the court are required to be properly dressed. If not properly dressed they run the risk of not being “seen” by the presiding judge. • A black stuff attorney’s gown A white shirt or blouse closed at the neck. • A white lace jabot. • Dark pants or skirt. • Black or dark closed shoes. • A black stuff gown. • A plain black long sleeved jacket which has both a collar and lapels. • The jacket must have, for closing, one or two buttons at the waist. The buttons must be black. • A white shirt or blouse closed at the neck. • A white lace jabot or white bands. • A silk waist coat. 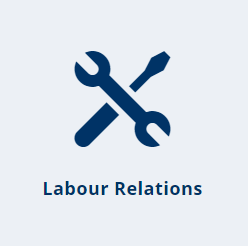 6.5 Representatives who are not attorneys or advocates and who enjoy right of appearance in terms of s 161(b) to (e) of the Labour Relations Act must be dressed appropriately. Men should wear a jacket, preferably with a tie. 7.1 A judge must be addressed and referred to in the same manner in which a High Court judge is addressed as either “My Lord” or “My Lady”. It is not necessary for representatives to introduce themselves to the presiding judge each time they appear; representatives appearing before a particular judge for the first time should present themselves at chambers fifteen minutes prior to the hearing to introduce themselves. Otherwise, representatives should attend at a judge’s chambers only when directed to do so or when there is a specific issue that the representatives wish to draw to the judge’s attention, e.g. the fact of a settlement, a request that a matter be stood down, etc. 7.2 In all proceedings, representatives must complete an attendance form recording their names and telephone numbers. The form must be handed to the presiding judge’s secretary in court before the matter is called. 8.1 The court will commence sitting at 10h00. The court adjourns at 11h15 and resumes sitting at 11h30. The court adjourns at 13h00 and resumes sitting at 14h00. The court adjourns for the day at 16h00. The presiding judge may deviate from these times if the judge considers it necessary. 8.2 Representatives must be punctilious in their attendance in court at the above times. All legal processes filed with the court must be typed or printed on standard A4 paper; in font size 12 point; with theme fonts either Arial or Times-Roman; line spacing set at 1.5, and with margins of at least 2 cm on all sides of the page. 10.1.1 Default judgments will ordinarily be dealt with by a judge in chambers. 10.1.2 An application for default judgment must be made after the expiry of the dies for the filing of a statement of response in terms of Rule 6(3)(c), and in accordance with Form I, which must be delivered to the registrar. • records the applicant’s remuneration at the time that the claim arose and any details of employment subsequent to that date; and deposes to any other facts that the applicant considers relevant. 10.1.4 The registrar must place the application for default judgment before a judge in chambers. 10.1.5 If the judge is satisfied that the requirements for default judgment have been met, the judge will grant judgment by default in favour of the applicant. 10.1.6 If the judge is not satisfied that the above requirements for default judgment have been met, the judge may issue a directive as to any further requirements that the applicant must meet, and may require the applicant to appear in court on a designated day to give or lead evidence or provide any document the judge may require in support of the applicant’s claim. • an estimate of the probable duration of the trial. 10.2.2 The Judge President may appoint a judge to undertake the case management of the file, and to ensure an expeditious hearing. • any party to the matter, on notice to all other parties to the trial, may apply to the judge for directions as to the conduct of the case. The judge may furnish such directions or direct that an interlocutory application be brought. 10.2.4 The appointed judge may direct that one or more pre-trial conference/s be held before the judge, or between the parties in the judge‟s absence. 10.2.5 Matters that have been designated for case management will be set down for trial on an expedited basis by the judge appointed to manage the file, in consultation with the Judge President. 10.3 Interlocutory applications: points in limine, exceptions and special pleas that do not require the hearing of oral evidence. 10.3.1 Except for those matters that are the subject of case management (where the judge concerned will issue directions on how interlocutory matters are to be dealt with), all preliminary points raised in a statement of claim and any response to a statement of claim (including but not limited to applications for condonation of the late referral of a statement of claim or the late filing of any statement of response, special pleas and exceptions) will be set down for hearing on an interlocutory basis. 10.3.2 Once the preliminary point is ripe for determination, any of the parties may index and paginate the court file and request that the matter be enrolled for hearing without delay. Filing of heads of argument is not a prerequisite for making this request, though the registrar may, if directed to do so by a judge, call upon the parties to file their heads of argument before allocating the matter for hearing. 10.3.3 Despite the provisions of this paragraph, any interlocutory application that is not opposed or in which any order by consent is sought may be dealt with by a judge in chambers. 10.4.1 Except for matters that are designated for case management, a pre-trial conference must be held and a minute filed within the time limit prescribed by Rule 6(4) (a). (g) Where meetings took place between the parties the parties must each set out when these meetings took place, whether these meetings constituted consultations in the retrenchment process and whether minutes exist for these meetings. If minutes exist, the parties must record the status of such minutes. If the applicant(s)‟ case is that the meetings as identified did not constitute consultation(s), he/she/they must indicate the basis of such allegation and the respondent must respond thereto. (g) The applicant(s) must set out in sufficient particularity in what respect the applicant(s) allege(s) that the termination of his/her/their services was procedurally unfair, and the Respondent must set out its response thereto. (c) If the respondent concedes that there is discrimination, but contends that such discrimination is fair, the respondent must set out the factual basis for so contending and the applicant(s) must provide an answer thereto. 10.4.3 If a pre-trial minute is not filed within the prescribed time limit, or the pretrial minute does not comply with the requirements of Rule 6(4)(b) or the provisions of clause 10.4.2 above, as the case may be, the registrar must set the matter down in the motion court for a formal pre-trial conference to be held before a judge. 10.4. 4 A judge may issue an order in respect of filing of a pre-trial minute. A failure to comply with such an order may result in the file being archived to be retrieved only on application, in which the applicant will be required to show good cause why the failure to comply with the order or directive of the judge should be condoned. 10.4.5 Once a pre-trial minute is filed, the court file is sent for directions to a judge in chambers. A judge may direct that a further and/or better minute be filed or that the matter may be set down for trial. The registrar must allocate a trial date as soon as possible (except for case managed matters) and notify the parties. • prepare and attach an index to the pleadings bundle, the notices bundle and any pre-amendment pleadings bundle and the pre-trial bundle respectively. The index must briefly describe each pleading or notice as a separate item. • File a practice note as provided in paragraph 10.7 below. 10.8.1 In Johannesburg, a roll call will be held at 9h45 on each day during the court term of all trials enrolled for hearing on that day. 10.8.2 If a trial cannot be allocated for hearing on the day for which it is enrolled for hearing, the parties‟ representatives must attend at the Chambers of the judge holding roll call on the next and subsequent days until the trial is allocated for hearing, or the matter otherwise dealt with. 10.9.1 The Labour Court runs a continuous roll, and, notwithstanding the number of days for which the matter is enrolled as indicated in the notice of set-down, a trial will ordinarily continue in one sitting until the conclusion of all the evidence. Representatives must ensure that they are available for the entire duration of the trial. 10.9.2 A postponement of a trial will not be granted because a representative is not available for the trial or for the entire duration of the trial. 10.10.1 No trial should be commenced where any issue or consideration exists to the knowledge of any party’s representative that would interfere with the completion of the trial. 10.10.2 A judge hearing a trial will not, unless it becomes necessary, postpone a trial which will result in a part-heard trial. an estimate of the probable duration for the completion of the trial; and whether a copy of the record of the part-heard portion of the trial is necessary and available. 10.10.4 If the letter addressed to the Judge President is not a joint letter from all the parties to the trial, proof that a copy of the letter has been forwarded to the other party or parties to the trial, must be provided. 10.10.5 The Registrar must inform the parties in writing of the date allocated for the completion of the trial. 10.11.1 If the parties to a trial have entered into a settlement agreement prior to the trial date, the registrar must be informed as soon as the settlement agreement is concluded. • the representatives of all the parties are present in court and confirm the signature of their respective clients to the settlement agreement and that their clients want the settlement agreement made an order of court, or proof is provided to the satisfaction of the presiding judge as to the identity of the person who signed the settlement agreement and that the parties want the settlement made an order of court. • the representatives of all parties are present in court and confirm that the draft order correctly reflects the terms agreed upon, or proof is provided to the satisfaction of the presiding judge that the draft order correctly reflects the terms agreed upon. 11.1.2 The Judge President may appoint a judge to undertake the case management of the files, and to ensure an expeditious hearing. • The appointed judge will issue directions on hearing of the application. 11.2.8 A review application must be indexed and paginated once all the pleadings and the record of the proceedings have been filed. The application must be divided into three sections, the first section containing the pleadings and affidavits, the second section the relevant notices (including all Rule 7A notices) and the third section the record of the proceedings. The principles applicable to the indexing and pagination of application proceedings as determined in this practice manual shall equally apply to each section. 11.3.1 An application for the winding up of a trade union or employers’ organisation must be in accordance with Form 2. 11.3.2 Notwithstanding opposition to an application for the winding up of a trade union or employers‟ organisation, a final order will not be made without a rule nisi first being issued setting out the terms on which a final order will be made. (iv) that the Registrar of the Labour Court alternatively the Master of the High Court determine the liquidator‟s fees for winding up the respondent. (a) by the Sheriff on the respondent at its registered office; being [1st floor Trade Union Building, Uniondale]. (b) by the Sheriff placing a copy of this order on the notice board or a prominent place within the respondent‟s premises which is accessible to all its staff and members visiting it. (c) by prepaid registered post to all businesses [who are members, (where the respondent is an employers’ organisation), or where the respondent has members (where the respondent is a trade union)]. (vi) this order be published in the Times newspaper[ optional]. 11.3.4 On the return date, before the court will grant the final order, proof of compliance with the rule nisi must be provided. Where there has not been full or proper compliance, the Court may, because of the new return date, order that service should be affected again. 11.4.1If the respondent has delivered a notice of intention to oppose but fails to deliver an answering affidavit within the prescribed time limit, the registrar must at the request of the applicant, enrol the application on the opposed motion roll and serve a notice of set down to all parties. 11.7.1 An application, whether opposed or unopposed, will generally not be postponed, and certainly not for reasons related to the convenience of representatives. When an application is postponed, it will be postponed to the roll of the presiding judge in the same week or at some future date, unless otherwise directed by the Judge President or his Deputy. 11.7.2 Should the presiding judge decide to grant a postponement of the application, the presiding judge may determine whatever terms and conditions will regulate the granting of such postponement, including the determination of the next hearing date and further steps to be taken in prosecution of the application to hearing date. 11.7.3 In the event of an agreed postponement by both parties, this agreement shall be recorded in writing by both parties and shall be filed together with the practice note referred to hereunder. This written agreement to postpone must set out the grounds for such agreement being necessary. An agreement to postpone concluded after the deadline for the filing of the practice note shall not form a basis for postponement in the absence of compelling considerations to the contrary. 12.1 In Johannesburg, a duty judge is designated for the hearing of urgent applications for each week of the year. For this purpose, the week commences on Sunday at 18h00 and terminates on the Sunday of the next week at 18h00. 12.2 An applicant wishing to bring an urgent application must do so by contacting the registrar (the after- hours number of the duty Registrar is 082 4620508). Parties must not approach a judge or a judge’s secretary directly to arrange for urgent applications to be heard. 12.3 The normal time for the bringing of an urgent application, whether during term or in recess, is 10h00 on Tuesdays and Thursdays. If the urgent application cannot be brought at 10h00 on Tuesday or Thursday of any week, it may be brought on any other day of the week at any time, but the applicant in the founding affidavit must set out facts which justify the bringing of the application at a time other than 10h00 on Tuesdays or Thursdays. 12.4 The above paragraph does not apply to applications to interdict strikes and lock outs that are contended to be unprotected, or to applications to interdict acts of violence or any unlawful conduct that may occur during industrial action. Applicants seeking interdicts in respect of strikes or lock outs that are contended to be unprotected, are reminded of the provisions of s 68(2) and (3) of the Labour Relations Act, which prescribe the periods of notice to be given, and that good cause must be shown of such time limits are not complied with. 12.5 The above requirements are additional to the applicant’s obligation to set out explicitly the circumstances which render the matter urgent. In this regard, it is emphasised that while an application may be urgent, it may not be sufficiently urgent to be heard at the time selected by the applicant. 12.6 The above practices will be strictly enforced by the presiding judge. If an application is enrolled on a day or at a time that is not justified, the application will not be enrolled or if enrolled it will be struck from the roll and an appropriate punitive cost order may be made. 12.7 The first paragraph of relief sought in the applicant’s notice of motion must be for the enrolment of the application as an urgent application and for the dispensing of the forms and service provided for in the Rules of court, to the extent necessary. 12.8 In matters where opposition is anticipated because of the nature and extent of the application and the possibility that the relief may effect a substantial number of employees or employers or bargaining councils etc or the costs implications attached to the urgent application is such that the matter has to be heard urgently, then and in that event the parties may approach the Judge President or the Deputy Judge president, through the registrar at the time of launching the application, to allocate a judge to that matter so that proper arrangements are made and the matter is expeditiously heard without it being rolled over. 12.9 Unless the circumstances are such that no notice of the application is given to the respondent, or unless the urgency is so great that it is impossible to comply therewith, the notice of motion must provide a reasonable time, place and method for the respondent to give notice of intention to oppose the application and must further provide a reasonable time within which the respondent may file an answering affidavit. The date and time selected by the applicant for the enrolment of the application must enable the applicant to file a replying affidavit if necessary. 12.10 Deviation from the time periods prescribed by the Rules of court must be strictly commensurate with the urgency of the matter as set out in the founding papers. In cases of extreme urgency, a reasonable time must be afforded to the respondent to give notice of intention to oppose. 12.11 If the facts and circumstances set out in the applicant’s affidavits do not constitute sufficient urgency for the application to be brought as an urgent application and/or justify the abrogation or curtailment of the time periods referred to in the Rule 6(5) and/or justify the failure to serve the application as required, the court will decline to grant an order for the enrolment of the application as an urgent application and/or for the dispensing of the forms and services provided for in the rule. Save for a possible adverse cost order against the applicant, the court will make no order on the application or strike the matter off the roll. These requirements will be strictly enforced by the presiding judge. 12.12 When an urgent application is brought out of ordinary court hours, the applicant must present a draft order to the Court which must also be available on a memory stick to ensure that the order of the court can be typed so that it can be signed by the registrar or the presiding judge’s secretary. The judge designated for the hearing of urgent applications is not to be contacted directly. 12.13 Urgent applications that are postponed will generally not be postponed for more than a week, for the purpose of allowing the parties to file papers. The application must be postponed to the roll of the urgent court, and not to the motion court. If a rule nisi is issued, the return date will be allocated by the presiding judge after consultation with the registrar and will be heard on the urgent court roll. 12.14 An applicant that wishes to have an application heard on an expedited but not an urgent basis may approach the Judge President or his deputy, with a properly motivated request in writing, for a direction as to the conduct of the application, time periods that will apply and the allocation of a date for hearing. 13.1 It has been found that applications for contempt of court are so varied and often fail to meet the minimum requirement to obtain the relief sought. This is often discovered months after the application was launched. In order to avoid this and the prejudice which results therefrom an application for contempt of Court must be launched on an ex parte basis on a Friday in Motion Court, where the applicant must seek an order that the respondent be ordered to appear at the Labour Court to show cause why it should not be held to be in contempt. d. That service of this order be effected personally upon the respondent [Chief Executive officer/Director General/owner/proprietor of the respondent]. 13.3 The affidavit in support of the application must clearly set out how service of the relevant Court order was effected upon the respondent; who accepted the service on behalf of the respondent; the responsible person (who the applicant seeks the court to find to be in contempt) of the respondent who was aware of the court order and is deliberately refusing to comply therewith; in what respect the respondent has failed to comply with the order and other allegation that will constitute the grounds for obtaining the order sought. 13.4 Where a defence is raised by the respondent the court may either hear the matter on the date on which respondent was ordered to appear in court or postpone the matter to the convenience of the court. 14.2.1 The registrar must be informed telephonically immediately when it becomes known that a matter has become settled. Subsequent to the allocation of a matter to a particular judge for hearing, either the registrar or the secretary of the judge to whom the matter has been allocated, must be immediately informed telephonically that the matter has become settled. • proof is provided to the satisfaction of the presiding judge as to the identity of the person who signed the settlement agreement and that the parties thereto want the settlement made an order of court. • proof to the satisfaction of the presiding judge is provided that the draft order correctly reflects the terms agreed upon. 14.3.1 Parties will be given a reasonable notice of the handing down of judgments. 14.3.2 Parties are expected to arrange for a representative to attend court to note judgment. 14.3.3 In exceptional circumstances, (e.g. where to avoid delay the presiding judge in a matter heard outside of Johannesburg directs that the judgment will be delivered in Johannesburg) a judgment may be handed down in any seat of the court and in the manner directed by the judge. 14.4.1 If there is no appearance when a matter is called it may there and then be struck from the roll. 14.4.2 A matter struck from the roll will only be re-enrolled if a proper explanation for non-appearance is given. The explanation must be on oath. When ex tempore judgments are handed down, it is the responsibility of the parties to arrange for the transcript of the judgment. Awaiting the transcript does not delay the time periods from continuing to run. The time periods run from the day the judgment was handed down. 15.1 A copy of any application for leave to appeal filed in terms of Rule 30 must also be served on the secretary to the judge from whom leave to appeal is sought. If the judge’s secretary is not available, it may be served on the secretary of any other judge in the seat where the matter was heard. 15.2 Within 10 days of the filing of the application for leave to appeal, the party seeking leave must file its submissions in terms of Rule 30(3A) and the party opposing the leave must file its submissions five days thereafter. An application for leave to appeal will be decided by the judge in Chambers on the basis of the submissions filed in terms of Rule 30 (3A), unless the judge directs that the application be heard in open court. 15.3 An application for leave to appeal must be filed with the registrar in charge of appeals. • in the case of referrals in terms of Rule 6, when a period of six months has elapsed from the date of delivery of a statement of case without any steps taken by the referring party from the date on which the statement of claim was filed, or the date on which the last process was filed; and when a party fails to comply with a direction issued by a judge within the stipulated time limit. 16.2 A party to a dispute in which the file has been archived may submit an application, on affidavit, for the retrieval of the file, on notice to all other parties to the dispute. The provisions of Rule 7 will apply to an application brought in terms of this provision. 16.3 Where a file has been placed in archives, it shall have the same consequences as to further conduct by any respondent party as to the matter having been dismissed. In matters where one or both of the parties are represented by practitioners acting pro bono, a judge may grant an exemption from the full or partial application of the relevant portions of this manual, including issuing directives regarding inter alia the preparation of the record, indexing and pagination of the papers and the conduct of pre-trial conferences, as well as the need to file heads of argument. The referral having been duly served on the Respondent. .The respondent has not given notice to oppose the matter. .The applicant hereby applies for judgment by default against the respondent as claimed in the referral. An affidavit in support of this application is filed herewith marked “A”. Dated this ………. day of …………………………. 20…………. 1. I am the applicant in the matter and the facts contained herein are within my own knowledge and to the best of my belief true and correct. 2. I hereby confirm the correctness of the facts averred in my statement of case and the relief sought and further confirm that service of the statement of case has been properly affected as provided in the rules of this Court upon the respondent. 3. At the time of my dismissal my gross remuneration was the sum of R___ per month. Since my dismissal I have been employed as from _date/s_______. I have earned a total amount of R__________ from the date of my dismissal to the date of signing this affidavit. 4. I seek the relief as prayed for in my statement of case. (iv) that the Registrar of the Labour Court alternatively the Master of the High Court determine the liquidator’s fees for winding up the respondent. (vi) publication in the Times Newspaper. TAKE NOTICE further that the affidavit of John Jones will be used in support of the application.